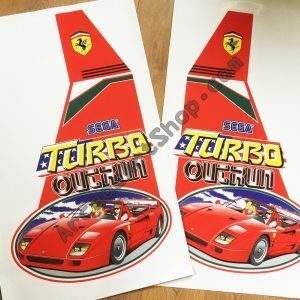 Pair of reproduction bike side art decals for Sega’s Manx TT. 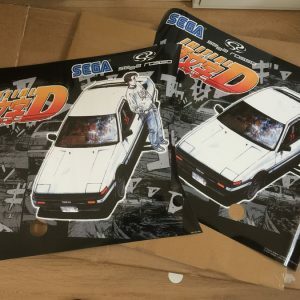 Includes 1 left and 1 right side decal for one bike. 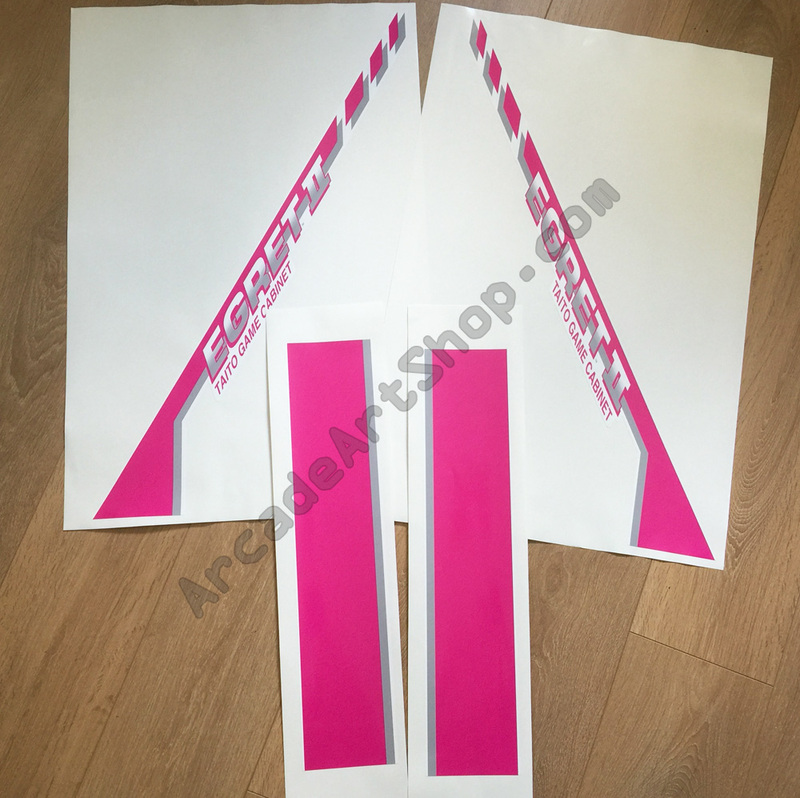 Printed on to premium grade LG Hausys high-tack adhesive vinyl and die-cut to original shape. Each sticker measures 490 x 335mm approx.